Rose quartz is the pink variety of quartz. Rarely transparent, facet grade gems will usually display a beautiful misty appearance. This gem can be found in large sizes, and is often carved into ornaments and figurines. refractive index, birefringence, specific gravity and possibly fluorescence. Rose quartz is the common variety name for semitransparent quartz with a predominantly pink color caused by dumortiertite inclusions. 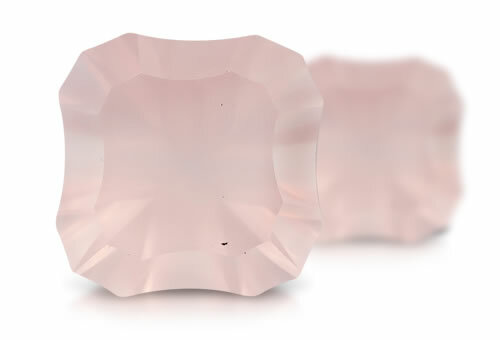 Rose quartz can also come in a more Translucent variety, often cut in cabochons, and may also show chatoyancy. Rose quartz will often have fractures, liquid and two-phase inclusions and will often have a cloudy appearance.